Ogilvy & Mather has retained the UK and pan-European ad accounts for the vehicle rental company Europcar. The agency's London office held on to the UK business after a pitch against Euro RSCG and Inferno, while Ogilvy & Mather Paris retained the pan-European business after a separate pitch process. Europcar called the reviews at the beginning of March. The move came just months after the appointment of Marine Boulot as the company's new group communications director. Starcom MediaVest Group, which handles Europcar's media planning and buying account, and Bigmouthmedia, which oversees the rental company's search business, are unaffected by the news. Ogilvy & Mather Paris has worked on Europcar's pan-European advertising business since 2007, while Ogilvy & Mather London was appointed to the company's UK account a year later. 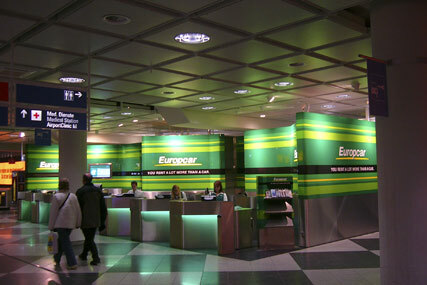 Following its appointment in 2008, Ogilvy London was responsible for communicating an extensive relaunch of the Europcar brand. The rebrand came after the company's acquisition of its rival Vanguard Car Rental Holdings, which owned the National Car Rental and Alamo Rent A Car brands. Europcar operates around 200,000 vehicles across 143 countries, and boasts the largest fleet and airport presence in the UK. The brand's latest pan-European campaign, which launched in January, featured an online ad that saw Europcar playing a series of pranks where they towed away people's cars and replace them with crushed cubes.